I am a huge glass fan! I have glass straws, glass water bottles, and I use glass food storage containers. Imagine how excited I was to find lids for glass jars! There are two companies that I really like Cuppow and EcoJarz. I make superfood chocolate milk (will post this soon) in a jar and take it with me using my ecojarz lid. My Simply Straws straws fit in the wide mouth hole and it's perfect! 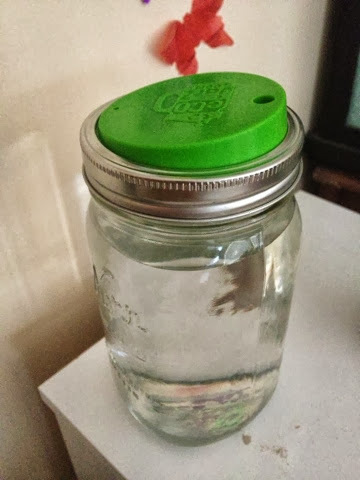 I also use a large canning jar for water by my bed. It is so important to use glass for food and liquid storage because nothing is leaking into your water. Also, it's reusable :) yay environment!